The Céline we know today rarely bears resemblance to its 20th-century incarnation: Phoebe Philo’s knack for constant reinvention has decreed it so. 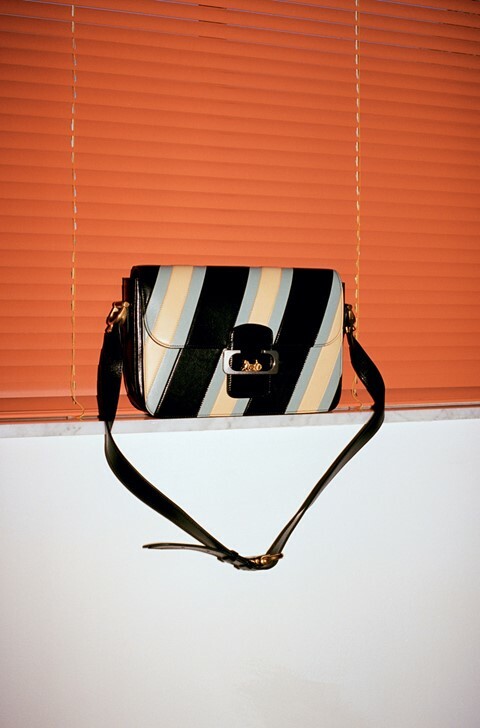 This season however, in a bid to revisit a more optimistic era than this, the creative director turned to the advertisements that had enticed her to the brand in the first place. Back in the late 1970s, and pre-AIDs early 1980s, the Céline woman was a woman; equal parts power shoulder, backcombed hair and a taste for freedom, which she exercised across her 8th-arrondissement stomping grounds in the shadow of the Arc de Triomphe. That bourgeois Parisian sensibility inspired Phoebe Philo’s Spring/Summer 2018 show for the label – all pleated skirts, horse-bit buckles and Claude Montana-esque boulder-shoulder trench coats. Alongside abstract reimaginings of what the Céline woman may have worn way back then, there was an IRL archive-excavation: the Sulky bag. Joining the 1960s American Sulky collection, this bag, replete with horse-and-carriage clasp and spur-shaped hardware, was first designed in 1975. Today it shines anew – vintage-tinged in its equestrian poise but no less timeless – thanks to Philo’s uncanny ability to awaken desire in the overlooked. As Mary J Blige crooned alongside Method Man over the catwalk soundtrack, Sulky, you’re all we need to get by.